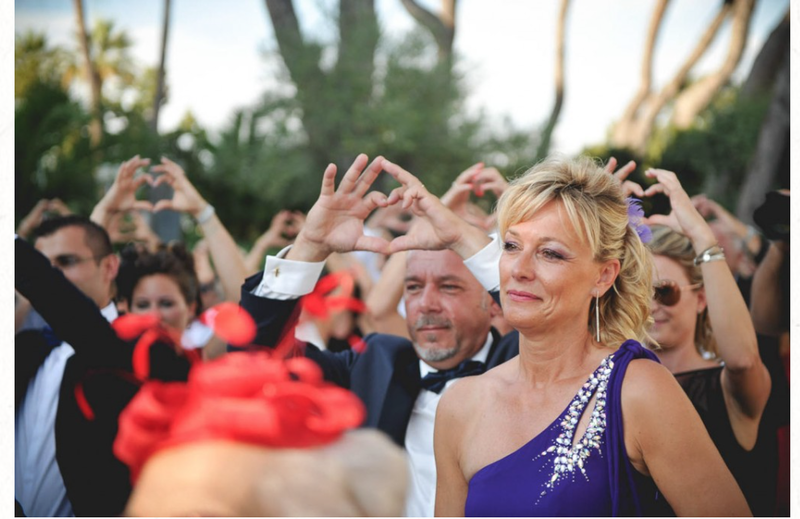 Today, Myceremonie want to help you : 12 Tips for writing your own wedding Vows. 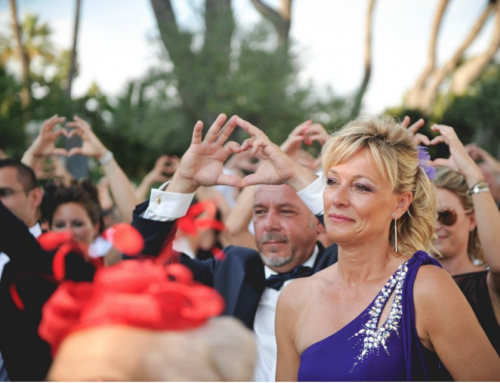 Make sure your ceremony officiant will actually allow personalized vows. Certain celebrants and houses of worship may require you to recite a specific set of traditional vows. And remember: Even some of the most accommodating officiants will want to review your words in advance. We can’t say this enough: Don’t leave writing your vows until the day before the wedding! You’ll be too nervous, excited and rattled to give them the time and thought they deserve. Give yourselves at least a month, or work on your vows in that pocket of time after you’ve set up all your major vendors and before you have to start thinking about the details. Vow writing should be done in a relaxed, not rushed, frame of mind. Some loose deadlines to aim for: Try to get a first draft together about three weeks before the wedding and have your final version completed at least two days out. To get inspired, start by reading traditional, by-the-book vows — from your own religion, if you practice a certain faith, but others, as well — to see what strikes a chord with you. You can incorporate these into the original words you write, or simply use them as a jumping-off point to base your personalized vows on. Before putting pen to paper, decide what overall tone you want to achieve. Humorous but touching? Poetic and romantic? It’s your call — the most important thing is that your vows ring true and sound like they’re from your heart. 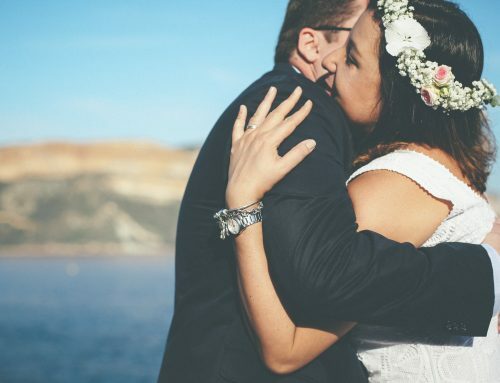 One word of advice: While your vows can be lighthearted (or even hilarious), they should, in some way, acknowledge the seriousness of the commitment you’re about to make. One way to do that is to weave little jokes into traditional vows (for example: “I promise to love you, cherish you and always watch Monday Night Football with you”). When it’s time to come up with the actual content of your vows, go out to dinner or set aside an evening at home to brainstorm. Talk about your relationship and what marriage means to each of you. Discuss what you expect from each other and the relationship. What are you most looking forward to about married life? Why did you decide to get married? What hard times have you gone through together? What have you supported each other through? What challenges do you envision in your future? What do you want to accomplish together? What makes your relationship tick? 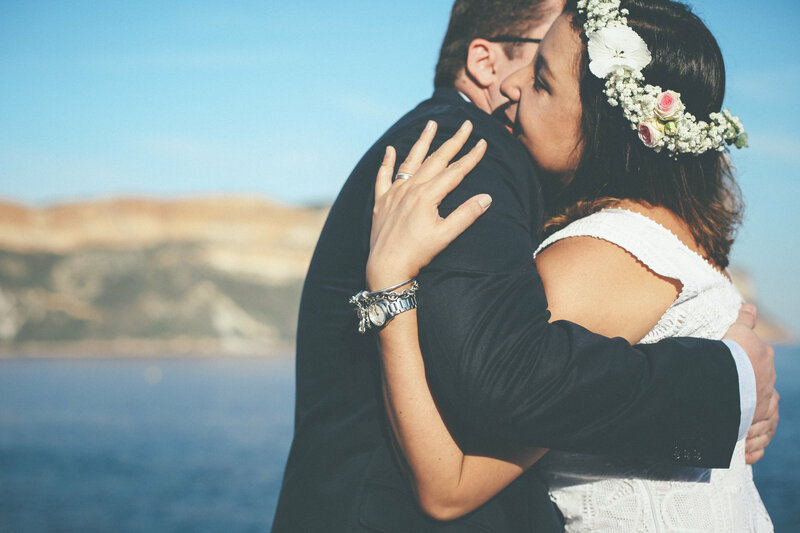 Answering these questions will help you make and keep your promises, and talking about your bond may expose your inner Wordsworth and help you come up with phrases and stories you can incorporate into your vows. After chatting with your future spouse, take some self-reflection time to think about how you feel about your partner. What did you think when you first saw them? When did you realize you were in love? What do you most respect about your partner? How has your life gotten better since meeting your mate? What about them inspires you? What do you miss most about them when you’re apart? What qualities do you most admire in each other? What do you have now that you didn’t have before you met? You may be surprised how these answers may lead you to the perfect words. Borrow freely from poetry, books, religious and spiritual texts — even from romantic movies. Jot down words and phrases that capture your feelings. Widely recognized works ring true for a reason. An outline can get you started by helping to establish a structure. For example, plan to first talk about how great your fiance is and then about how you work together as a couple; pause to quote your favorite writer and then go into your promises to each other.